Your wedding is one of the most important days of your life. Looking your best is essential to creating lasting memories in pictures that you will look at forever. At the moment your attention might be focused on your dress and other important wedding details but make sure you don’t forget about your smile. 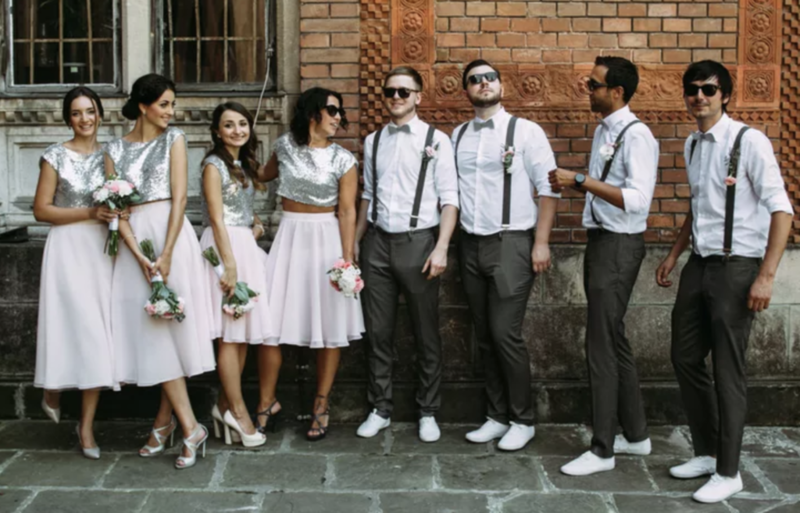 You will spend most of your wedding day smiling during the ceremony, greeting guests, laughing at the reception and taking beautiful pictures throughout the entire day. Your smile is important and improving your smile before your wedding day is easier than you think! Dr. Jacquie Smiles specializes in wedding smile makeover for her patients in NYC. She will help you smile for all of the photos that will be taken during the day and night. Invisalign – This popular teeth straightening treatment involves clear custom made aligners that get changed every two weeks until your treatment is complete. The average treatment time ranges from six months to one year or longer depending on your specific situation. It’s an easy way to straighten your teeth without anyone seeing bulky standard metal braces. Teeth whitening – A bright, beautiful smile is a must on your wedding day. Professional teeth whitening treatments such as Zoom! Teeth whitening system is done in an orthodontist office and produces fantastic results quickly! Cosmetic dentistry – Other orthodontic treatments can correct your smile such as veneers, bonding, enamel shaping, and crowns. An orthodontist will discuss the best procedures and options that are best suited for you. Come in for your no-obligation cosmetic dentistry and Invisalign consultation before your wedding to see if we can give you your perfect wedding smile. We accept insurance, financing, HSA, and FSA. 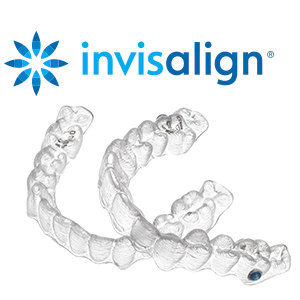 Schedule your appointment today to use your $500 OFF Invisalign treatment! To learn more about wedding smiles and accelerated orthodontic treatments in NYC, please call us at 212-972-3522 or use our contact form to receive additional information on how you can achieve your wedding ready smile. We are conveniently located near 30 East 40th Street, New York, NY 10016. As you work on your wedding plans, it’s essential that you make your smile your top priority. Call Dr. Jacquie Smiles today at 212-972-3522 or use our contact form after you get engaged to begin your journey to a beautiful straight white smile. Remember average teeth straightening treatment for Invisalign is six to twelve months, but clear braces and other options can take longer. You need to make sure your treatment is complete, and you are happy with your smile before your wedding day arrives. Does my insurance cover orthodontic treatment? Contact your dental insurance company or carefully read your policy to find out more about your coverage. Remember that most orthodontist offices accept other forms of payment so don’t lose hope if your dental insurance doesn’t cover the entire cost. Always discuss other payment options with our dental office. Will my teeth be straightened in time for my wedding? Dr.Jacquie Smiles and her team of licensed orthodontist and dental professionals will give you a timeline when your Invisalign or other teeth straightening treatment begins. It’s best to set your wedding date at least one month after your treatment is scheduled to be complete. This extra time allows room in case your treatment is extended longer than initially expected. Accelerated orthodontic treatments are also available which may take only about 3 to 9 months to achieve the desired smile you have always wanted. It depends on which teeth whitening treatment you choose. Dr. Jacquie Smiles will recommend a procedure that will provide you with the fastest and best results. Keep in mind that some procedures need to be done a few times to reach the level of whiteness you desire. 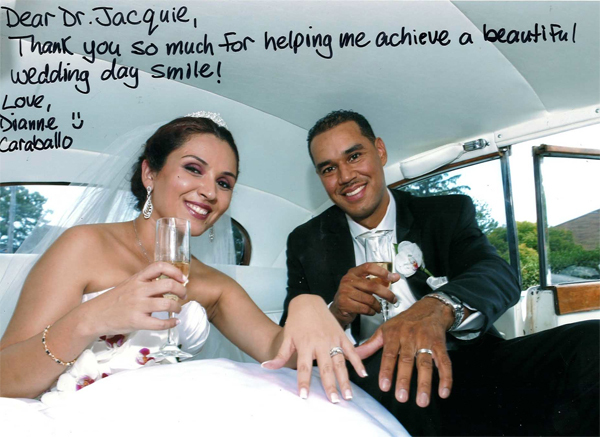 Dr. Jacquie Smiles will provide professional and helpful advice that will guide you to your straightest and brightest smile in time for your wedding. Always discuss all of your options and the time frame it takes for each one. It’s also important to think about long term results and maintenance. Are you ready to take your first step towards your perfect smile for your wedding? Don’t wait! To schedule your wedding smile makeover consultation in NYC, please call us at 212-972-3522 or use our contact form to receive additional information on how you can achieve your wedding ready smile.